Family: I live with my 10-year-old daughter in NE Portland. Theoretical and Empirical Foundations for Ecotherapy. In M. Jordan & J. Hinds (2016) (Eds.). Ecotherapy: Theory, Research & Practice. With Angel Chen, Improving Human Functioning: Ecotherapy and Environmental Health Approaches. In R. Gifford (2016) (Ed.). Research Methods in Environmental Psychology. Mental Health Impacts. In J. Patz & B. S. Levy (2015). (Eds.) Climate Change and Public Health. Preface. In M. Gray, J. Coates & T. Hetherington (2012). (Eds.). Environmental Social Work. About: Dr. Thomas J. Doherty is a psychologist from Portland, Oregon who specializes in applying an environmental perspective to mental health and well-being. 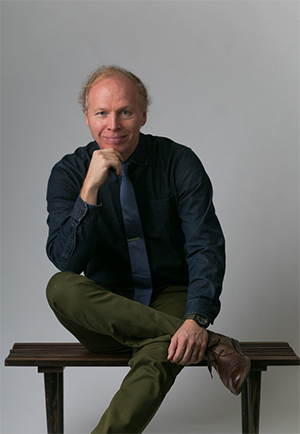 Thomas provides individual and couples therapy and coaching through his business Sustainable Self, and also consults about sustainability, health and performance to groups and organizations. Therapy Approach: Thomas Doherty’s approach to therapy, counseling and coaching with individuals is highly interactive and positively-focused. He integrates techniques that have been demonstrated to be effective into a unique plan for each client. A collaborative relationship with clear feedback is at the core of the work. See my client testimonials. Research and Teaching: Thomas Doherty is a fellow of the American Psychological Association and Past President of the Society for Environmental, Population and Conservation Psychology. He has multiple publications and professional presentations on nature, mental health and well-being; his paper on the psychological impacts of global climate change has been cited nearly 200 times. 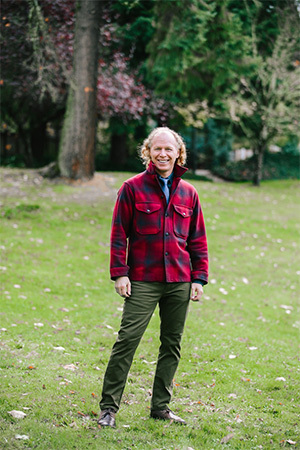 Thomas Doherty was an adjunct professor at the Lewis & Clark Graduate School of Education and Counseling in Portland, where he founded one of the first environmentally-focused certificate programs for mental health counselors and therapists. Thomas was the founding editor of the peer-reviewed interdisciplinary academic journal Ecopsychology. Presentations and Workshops: Thomas Doherty has provided workshops and trainings for the US National Park Service, the New Zealand Department of Conservation, the American Psychological Association, the Association of Zoos and Aquariums, the International Facility Management Association, and the Oregon and California Departments of Health. Background: Thomas is originally from Buffalo, New York and received his BA from Columbia University and Psy.D. in Psychology from Antioch New England Graduate School. In addition to his psychology training, Thomas draws on his leadership experience and early career adventures as a wilderness therapy and professional whitewater rafting guide, and as an environmental advocate for Greenpeace. He lives in Portland with his wife and daughter.